ZESCO United coach George Lwandamina says his team is ready and will deliver to the expectations of the fans when they take on Mbabane Swallows in the CAF 2018 Champions League Group D opener at the Levy Mwanawasa Stadium. However, Swallows coach Thabo Vilakati has said his men do not view Zesco as lions to be feared. 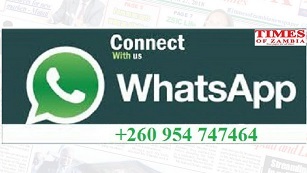 No doubtful mindful that Swallows got this far by clinching a shock win at Zanaco and finishing them off at home in the return leg in the pre-group games, Lwandamina, confirmed into his second stint at Zesco on Wednesday, said yesterday winning the first match of the group was always important as the result had the potential to influence the team’s destiny. He said he would always be under pressure to beat his record he set in 2016 when he guided the team to the semi finals of the Champions League but it was not all about him but everyone at the club. “It is very difficult, I know, to challenge your own pedigree. But it is a good stepping stone. Having done well before (2016) with the same management, the same players, we will be able to deliver,” Lwandamina said. He added that he would not underrate Swallows, noting that coming this far in the championship was enough evidence they were no pushover and could make the match difficult for his men. 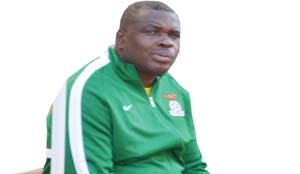 Zesco captain Jacob Banda described Lwandamina as of one the best coaches in Zambia and the team was happy to have him back at the helm as it set its eyes on winning the championship. “Our expectation as players is that we have to reach the finals of the Champions League,” Banda said. However, Vilakati warned that Swallows were not in the country to make up numbers in the group as everyone at the club was determined to progress to the next round of the championship. He said he has assembled a team feared no opponent and would take on Zesco with confidence as he believed the two sides were at the same level. “We know it is a mammoth task. We know Zesco is playing at home. But to me, playing at home or away is not a factor. We have respect for Zesco for what they have done in the past and even now in the league they are doing well…it will be a difficult task,” Vilakati said. It is the second time the two sides are meeting in the Champions League having met at the second round stage in 2015 where Zesco emerged winners 2-1 aggregate. But both coaches believe a lot has changed since that last encounter, with a lot of improvements in both teams. Mbabane’s improvement was evident when the eliminated Zambian giants Zanaco at the previous stage on a 3-1 aggregate and they will be determined to cause another upset by beating Zesco today. Zesco would however be wary of the threat that the Swazis bring and be in full gear to start the group campaign on a winning note. Lwandamina looks like a perfect fit for Zesco and with his success in the tournament in 2016 the coach looks set to continue where he left from. He has made it clear that winning the Champions League is his ultimate goal because anything other than that it will be considered failure. Lwandamina looks to retain his faith in goalkeeper Banda, with Marcel Kalonda and David Odhiambo partnering in central defence. Fackson Kapumbu missed the team’s league win against Napsa Stars with a minor knock but is expected to start at left back while Simon Silwimba slots into right back. John Chingándu and Kondwani Mtonga look set for their attacking and defensive roles respectively in midfield with Lazarous Kambole a sure starter in attack alongside either Winstone Kalengo or Jesse Were. Swallows will look to their danger man midfielder Gerson Badenhorst , likely to be partnered by Tony Tabedze while Sandile Hlatjwako who scored against Zanaco in Mbabane will start upfront with Richard Mccreesh. The other fixture in Group D sees Angola’s Desportivo Primeiro de Agosto host Etoile du Sahel.